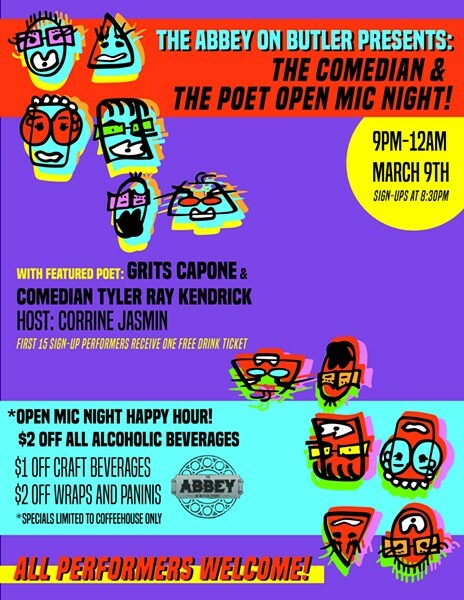 Featured performers are comedian Tyler Ray Kendrick and poet Grits Capone. Hosted by Corrine Jasmin. First 15 sign-up performers receive ONE free drink ticket. Sign-ups begin at 8:30 p.m.